It’s Halloween!! And I’ve got the perfect book recommendation for those of you who want a little spooky this holiday without getting your socks scared off. 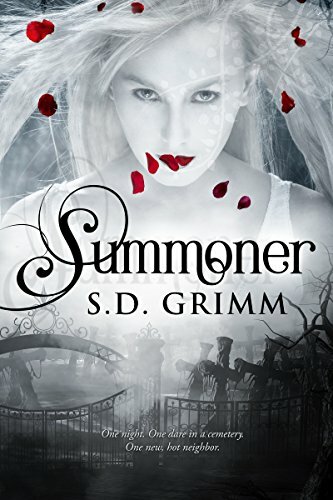 Summoner is an awesome October read to get you in the mood for the season. Yes, the author (S.D. Grimm) is like a sister to me, but I genuinely love her books, and she’d murder me in the night if I said anything untrue about her books. (Really.) If you’re in the mood for a quick spook or swoon-worthy cowboys, pick up this book. A disabled hero whom I LOVE. Like the cover says, Cody is smokin’ hot, but not in the way you’d think. Well, I guess both ways. Ahem. An awesome magic system that deals with classic ghosts, but goes about it in a totally original way. I’ve pretty much accepted this as headcanon for real life… let’s just say I’m NEVER holding anything that looks like a coat hanger ever again. An epic final battle that I really can’t talk about without spoiling everything. A super-satisfying happily ever after. That epilogue… seriously!! I wanted to strangle the main POV character more than once. “Don’t do that stupid thing, you stupid thing! !” But that’s a given for pretty much any first-person perspective book that I read… or really any book ever. And everything that Allie did (or wanted to do) made sense, from her perspective. I think the editing could have been a little more on point, but it really wasn’t a big deal, and I’m OCD about these things. Sexual content: Nothing beyond a steamy kiss and lots of butterflies. Violence: Mild. Characters are injured and killed, and things can get a bit scary. But not so much so that I would call the story itself scary or violent. There’s nothing gratuitous or gory. Just good ‘ole good versus evil and some creepy ghosts on the side. Recommended for fans of fantasy and romantic suspense. Recommended for ages 14+. 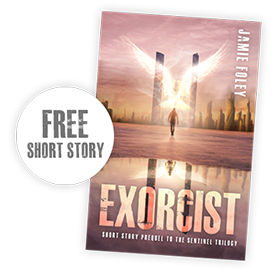 While the characters are older teens/young adults, any adult fan of the genre would love it.